I have been very satisfied with the items that I order from your company. The products are of great quality & precision built. I have been telling my friends about your company. Thanks for your prompt shipping and easy ordering of the products. 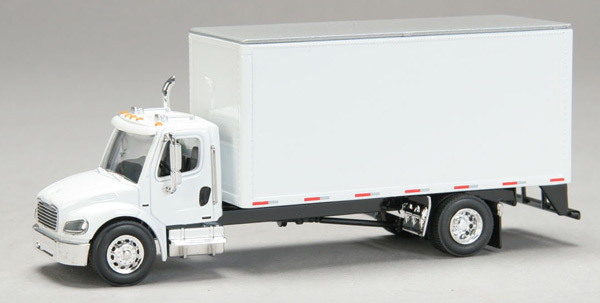 Straight truck is about 6 inches long, almost 2 1/4 inches high, and 1 1/2 inches wide. Detail seems very good and paint is fresh. Back door of truck is the only thing that opens and it flips up and slides in. We are thinking about giving these toy trucks away as a novelty.